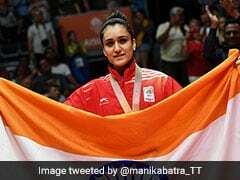 Contended after a triumphant run in the Commonwealth Games (CWG) 2018 held at the Gold Coast, Australia, latest India Table Tennis sensation Manika Batra has set her eye for a similar show in the Asian Games 2018. 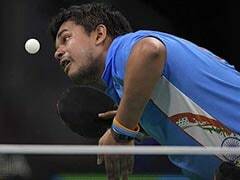 The Delhi-based paddler took to social media to post videos and pictures showcasing her practice session drill ahead of the marquee tournament which is slated to get underway at the Jakarta and Palembang in Indonesia from August 18 to September 2. "I may not have got their yet... But I am surely inching closer. #TrainingHard #GoalAsianGames," Batra tweeted with her picture undergoing the daily practice session at the capital. 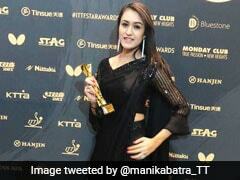 Following her return from Gold Coast, the 22-year-old was recommended by the Table Tennis Federation of India (TTFI) for the prestigious Arjuna Award. Batra - who returned from CWG'18 as the only quadruple medallist engraved her name in history by single-handedly helping India clinch the maiden team gold medal before she could bag herself another gold in the singles - which was also another first. The paddler along with her coach Sandeep Gupta was also honoured by the Delhi Police in a ceremonial greeting ceremony post her return from the CWG 2018.